Sam McGuire is on the recording arts faculty at the University of Colorado Denver. He also regularly lectures in China and has connections to universities in Prague. 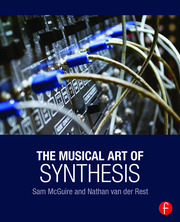 Sam's favorite music technology topics include MIDI, sampling, and synthesis. his favorite DAW is Logic Pro X, which you can see more about on his YouTube Channel: LogicProXLife.